The Nagoya Castle is one of the largest, most beautiful and historically most important of all of Japan, and is located within a large park, called Meijo Koen and full of cherry trees making it one of the most popular places in the city during the flowering period. Built for the first time between 1521 and 1528, over the centuries around this castle will develop what is now the fourth largest city in Japan, the city of Nagoya. Unfortunately much of this castle was destroyed during the air raids in World War II, but it was rebuilt a few years later, reopening to the public since 1959. (admission 500 yen, opening hours 9-16:30) The main tower of the castle, along with other buildings rebuilt after the war, is very impressive and beautiful to see from the outside, while from inside is clear that it is a modern building in reinforced concrete, which now houses a sort of museum. 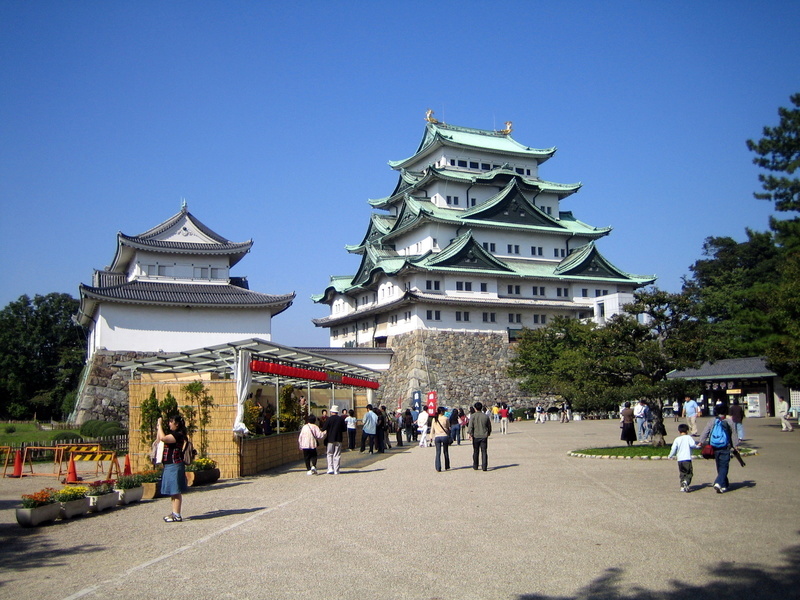 The tower consists of 8 floors in total, one of which is underground: except for the 6th floor, closed to the public, all the other display various artifacts and objects related to the castle and very well done miniature reconstructions of the castle and the city at the time of feudal Japan. From the top floor you can finally enjoy a panoramic view of the city. This building, built in 1915, was a victim as much of the castle of the bombings of World War II. In 2009, work began on an ambitious project for the reconstruction of the old building, which no longer exists, using traditional materials and techniques. All this has been possible because in 1930 the old building had been already classified as a national heritage, and for that reason had been examined in detail, drawing floor plans and taking numerous photographs, and also many objects and decorations were removed from the building and stored in secure locations. All these materials are still the main source for the reconstruction of the castle. The first part of the building was completed in 2013, the end of the work is however scheduled for spring 2018. Today it is already possible to see the entrance to the palace and the audience hall, and you can also visit the site of construction works, through a specially crafted path for visitors. In the area surrounding the castle there aren't a lot of hotels, but just move a few kilometers to Nagoya station and you'll have plenty of choice. The only hotel in the area, just in front of the castle, and from whose rooms you can enjoy a wonderful view, is the The Westin Nagoya Castle, an upscale hotel with not very low rates but definitely well proportioned to what it offers. 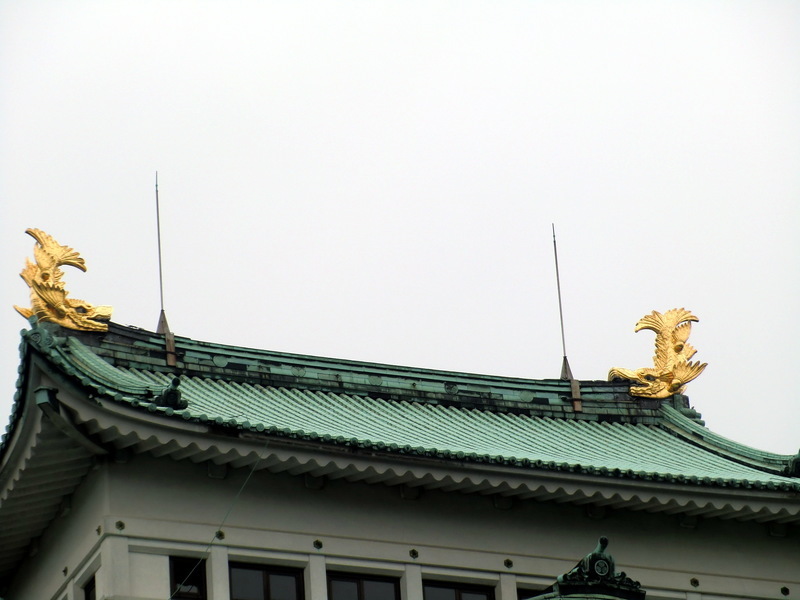 The Nagoya Castle is located in the heart of the city, 2.5 km north-east of Nagoya station and 2.0 km north of Sakae station. The nearest station to the castle is Shiyakusho station, served by the Meijo line of the subway (3 minutes, 200 yen from Sakae).